There are very few people in the marketing space who actually know how to use web push notifications to get the best results. Browser push notifications have been around the block for quite a while but very few of us actually know why they should be used and what purpose they serve. So we asked the top marketing experts, influencers and World Wide Web superstars. We left no stone unturned on the quest to figure out – How to use web push notifications to get the best results? We surveyed 38 experts and combined all the findings in easy to view infographic that you can find at the end of the article. Adam Houlahan is a new media specialist, author, mentor, speaker and brand influencer. The goal is for users to look forward to your push messages. Upon opening a message, the user should have a fresh and entertaining experience with rich media such as videos, surveys, and pictures related to the content of the message. They should feel motivated and exciting to take action and engage with your offering. Urgency matters a lot when it comes to the web push notifications, Why? Because push notifications require an instant response and creating urgency with your offer will force people to take immediate action. Whenever possible add custom icons or large images to your push notifications. Large images are a fantastic way to make your push notification stand out from all the others. Get creative with your designs, humans are visual creatures. Also, consider the clever use of emoji. Nothing as boring as stock icons and images. Personalization works. When people receive a personalized message, they feel that it’s created just for them. Personalized notifications lead to higher conversion rates. You can use segmentation to help you achieve better personalization. Example: Putting subscribers into different segments based on their on-page activities like the type of pages viewed, categories, genres, device type, location and number of views of a particular page. Sam is Founder of the eagerly-anticipated OPTIM-EYEZ. He has been ranked as the world’s top 3 influencers by Webinale, Onalytica, and ScribbleLive. A great tactic for relevant push notifications is: Personalization. And push notifications should always be as relevant and as personalized as possible. Give your subscribers the chance to customize their frequency of notifications, type of content and amount of material received. Blanket pushes won’t have the desired effect — And you may actually ‘push’ customers away! Subscribers can even be alerted to location-specific offers and even geo-targeted content. Finally: Use emojis to stand out and add the ‘human’ touch to push notifications! #1 Bestselling Author of Socialnomics and Motivational Speaker. Qualman was voted the 2nd Most Likeable Author in the World behind Harry Potter’s J.K. Rowling. We have found, with our Fortune 1000 to small business clients, a common thread when it comes to best results via push notifications. We call it removing the push. Nobody likes a pushy salesperson in real life and the same holds true online. What we do like is something that provides value. So, whenever you are to push out something to your prospects, or fans, always ask: “If were them what would I like to receive? Is what we are about to send them valuable? If it takes more than three seconds to answer this question don’t send it, it’s not valuable. We call this the three-second rule. Ritchie Pettauer is a Digital Media Strategist, Pro-Blogger. I use web push notifications to point readers to my blog whenever I publish a tutorial or a helpful article. Since these notifications are still pretty new, the conversion rate is amazingly high – as long as you don’t overdo it. Founder of Mod Girl Marketing, an inbound marketing consultancy. Company partners with forward-thinking companies to increase revenues. Push notifications are a great way to reach your audience quickly in a way they can’t ignore. Email gets buried all too often, and social media only reaches a small percentage of your followers. If you want to engage your most devoted users and readers, push notifications allow you to break through the noise and let them know that you’ve just shared something new – and if you’re creating content optimized for them, they’ll be happy to find out right away! At Digital Leadership Associates (DLA) we don’t use web push notifications. We don’t need to. Our prospects and customers don’t want interruptions and so we don’t add to the noise and clutter they get already. DLA is a social only company (the only one in the world we understand) and we engage, provide insights and have conversations with customers on social. This provides us with the inbound and referrals (leads, meetings, and revenue). Personalized messages give marketers a better chance to create a close connection with a customer which is especially important for customer experience with a brand. Also, delivering highly personalized messages help to cut through the information overload. And that means you have a better chance to increase your sales almost instantly. Let’s say one of the services you offer is insurance. It is likely your customer has purchased a car insurance which is about to expire. Show that you care about him and his safety. Or let’s assume, you have a hotel somewhere in the French Alps that also has different skiing and snowboarding gear for rent. Suggest your guests place gear reservations before their arrival. More examples of personalized push messages can be found here. And if you’re interested in trying out web push notifications yourself, request personalized demo and get a free trial at MaxTraffic. CEO & Founder of Aimtell . How to re-engage website visitors with targeted push notifications? To help give you a more concrete takeaway, I’ve broken down several examples on how you can achieve all of this using web push notifications. One of the best ways to ensure your notifications will be seen, as relevant, is to create and utilize various segments. Segments are simply groups of people that you can send notifications to. You group these people together based on something they have in common- this might be their geographic location, a certain product they have viewed, blog posts they have read or their device type. For instance, if you target anyone who has viewed the “/blue-backpacks” page on your site and then proceed to send them a message about a new blue backpack – you can safely assume vastly superior click throughs. Triggered notifications are the perfect tool for sending very well timed personal push notifications. These notifications are automatically sent, to an individual, based on their specific actions at your website. This might be to alert them that an item they purchased has shipped from your store or that they have abandoned their shopping cart (just to name a few examples). Abandoned cart messages have long been a successful marketing strategy for e-commerce brands. Personalization is key to the success of your push notifications. Instead of sending a blanket push notification telling someone to come back to their website, try incorporating custom variables into your pushes. This allows you do to things like pass “First Names” or “Usernames” into the push. Whenever possible add custom icons or large images to your push notifications. Large images, in particular, are a great way to make your push notification stand out from all the others. Compelling copy and enticing call-to-actions will further boost the success of your web push messages. You don’t have a lot of space for these messages, therefore it is crucial to be concise. Alert users of the value of your message in-conjunction with a solid reason why they should tap the notification to learn more! Put your CTA towards the beginning of the message to ensure users see it immediately. Not all browsers handle push notifications the same manner or style. In some cases, your text in your notification will get cut off after 10 words, others maybe 20. Finally, timing is everything. A poorly timed message may upset your users or have weak results. Try not to send messages early in the morning or late at night. Consider segmenting your users by Timezone/Country/State/Region in order to ensure your message will always deliver when you want it to. This is especially important if you have subscribers from all over the world. Content marketer, social media enthusiast, voracious reader & dreamer, but not necessarily in the same order. Inbound marketer, social media enthusiast & writer at Beta out. When crafting web push messages, marketers only focus on the offer, but they don’t pay any attention to the headline. Keep in mind that push notifications work in real-time – so the headline of your notification should be engaging and gripping to encourage an immediate response. Tip: Try sprinkling some emojis in your headline and it will escalate your opens and clicks like never before. Urgency matters a lot when it comes to web push notifications, Why? Because push notifications require an instant response; and creating urgency with your offer will force people to take immediate action. Tip: Create urgency by unleashing the power of your copywriting skills and avoid overused words like “Hurry,” Limited Time Only” to come across as genuine. One critical thing to consider when sending web push notifications is timing. If you want your push notifications to drive results, you’ve to send them at the right time. A well-crafted copy and an amazing offer won’t warrant a conversion if your timing isn’t right. Research says user engagement, with optimally timed notifications, can be totally off the charts – as high as 80%. Tip: Test your assumptions; timing that works well for one segment may not work well for the other segments. Personalization works. And we all know that. When people receive a personalized message, they feel that it’s created just for them. Personalized notifications lead to higher conversion. Tip: Combine location and behavioral messages with username and preferences to make it hyper-personalized. Every marketing campaign has a goal. And a call to action is the most important step to achieving your goal. A slight change in the language, size, and placement can make a huge difference in click-through. Your CTA copy should not only be clear, specific, and benefit-oriented but it should also evoke a sense of urgency to drive instant action. Because if your CTA can’t push them to take action right away, then it defeats the whole purpose. Tip: A/B test different CTA copy to find the best performer. Founder of Engagespot – a web push notification marketing automation platform for websites. Relevancy and Timing are the key factors of effective web push marketing. One could never be successful in executing a web push notification marketing strategy simply because he/she is an email marketing expert. Both are different channels and needs different strategies to make them effective. Web push notifications are disruptive. It diverts your customer’s attention from whatever they are doing. When a notification is received, they should either ignore, dismiss or click it. Either way, they will notice it, at-least for a moment. In my opinion, no other channels are as effective as push notifications when it comes to capturing one’s attention. So, the notification MUST be relevant to the user. It must be personalized for the user. Broadcast notifications could be annoying and have a detrimental effect. Trigger based on user’s request. For example – You could send a notification If the user has opted in for a price drop or back in stock alert. Trigger based on an action performed by the user. For example – If the user has searched for product XYZ, he might be interested in an alert related to that product. Find what the user likes and suggest similar things. For example, if your user has purchased or looked at a product XYZ, he might be interested in a complementary product ABC. So you can inform the user about product ABC through push notifications. Reminder Notifications. For example, if your user has added some products to their cart, but didn’t check out, you could send a reminder notification. Very important messages. For example, it could be an amazing deal or a flash sale. In such cases, you can send broadcast push notifications, depending on the type of your business. But limit it to 1 or 2 times a week. The best way to improve the results of web push notifications is by personalizing push notifications. My experience shows that this can be done by adding personal information to your communications. Such as customer’s name, the name of a product, the date of purchase, the tracking number for the ordered product, etc. When someone subscribes and visits your site, the system can extract the person’s contact information (name, e-mail address, etc.). Zorays.solar, Product Innovation Manager, Big Data & Cohort Analyst, IT Security, Thought Leader, iPray, iThank. I have created a strategy where different browsing platforms are integrated with automatic push notifications for my publications. It helps my readers’ get heads up of what is fresh and relevant! I limit my fortnightly newsletter subscription requests very safely to ensure my casual readers do not receive redundant subscription prompts. Therefore, It is advisable to adhere to good SEO friendly article images. It helps people get ready, as I do not include article title and this curiosity enables them to click on this image and this acts as a click bait. I tend to personalize depending on the browser people use. Serial entrepreneur who currently serves as CEO of Sourcify, a platform that makes manufacturing easy. He has also brought dozens of products to life over the course of his career. Push notifications online are an essential tool to utilize to get even more engagement. When you post something new, your visitors can be in the know. This is an essential step in retaining people and ensuring they see an active site. Manchester & Leeds based SEO Maverick. Use sparingly for things that count like new products and sales. Personalise the message if possible and tie into personalized content on site. SEO Director of Hennessey Consulting. Work experience ranges from co-founding BlueGlass Interactive, in-house SEO at Overstock, marketing strategy at PETA, and agency-level SEO & marketing. With browser notifications, I make sure to set the notifications not to close with time, but with interaction. If someone opens their tab and leaves, a default 20 second open time isn’t going to be there when they get back. Therefore it’s best to make sure they scroll down near the bottom of the page first before closing.Once somebody “allows” a notification you want to make sure not to send notifications too frequently. Some people make the mistake of notifying every new blog post, but don’t do that. Make sure it’s something GREAT that your users will appreciate. Blogger, world traveler, speaker, and an affiliate marketer. Founder of AffloSpark Pvt. Ltd.. I started using push notification on my blog around 3-4 months back. At first, I was hesitant to use it, but once I started using it, the results were miraculous. Here is the psychology why they work like a charm. When there is a push notification on any blog, it’s up to the reader whether they want to opt for it or not. Once they decide to get the notification, you win half of the game to win their trust. They trust your brand, they trust your authenticity, that’s why they are opting for the push notifications.Right now, I have more than 2000 subscribers in my push notification service.It’s much better version than sending an email. Founder of Only Way Online, a London based digital marketing agency specializing in building content driven traffic campaigns. A good way of using web notifications is by notifying your audience of your lead magnet to encourage visitors to turn into email subscribers. Everyone likes a good freebie and web notifications are a great way to help drive your email list. But be sure to make it valuable to their experience and relevant as there’s nothing more annoying that having content that just doesn’t resonate thrown at you. CEO at SaaS Genius – Successful entrepreneur, SaaS Growth Expert, and Inbound Marketing Consultant. Named one of top growth hackers by Medium. The obvious answer is that to achieve the best results with your web push notifications, your notifications should be relevant, personalized, and sent during appropriate times. Web push notifications are disruptive. It diverts your customer’s attention from whatever they are doing. When a notification is received, they should either ignore, dismiss or click it. Either way, they will notice it, at-least for a moment. In my opinion, no other channels are as effective as push notifications when it comes to capturing one’s attention.So, the notification MUST be relevant to the user. It must be personalized for the user. Broadcast notifications could be annoying and have a detrimental effect. A web push notification strategy is a very effective communication medium driving 15-25% increase in click through rates for our customers. Keeping track of active subscribers gives more transparent ROI understanding. SEO and digital marketing strategist at the UK digital marketing agency Bowler Hat. In many ways, this is the wrong question. Tactics like web push notifications, email, SMS, social can all be a powerful way to get in front of prospective customers. What really matters here though is what are you pushing to these people? The best and most successful marketing messages are those which the customer is delighted to receive. The messages that help the customer achieve their goals. As an example, we have a blog post that details a 30-day program of SEO tips. There is far too much in this guide to action in one sitting. Yet, a tip a day is certainly achievable. So, Where is user read this they could sign up for web push notifications and receive a tip each day. Breaking the content into manageable chunks and keeping our business in front of someone looking to improve their SEO. All too often digital marketers focus on the latest shiny tactic like push notifications but tactics are nothing without strategy. Ensure you have marketing content and messages that make your prospects life easier and then you will truly unlock the power of web push notifications. It’s important to note Browser Push is relatively new. So although it starts generating results from the word off, it still needs a lot of Fine tuning. We have been doing browser push for 2 years now. 1) User Triggered Notifications – Using triggered based automated campaign, is the most efficient way to make the most out of your Push. 2) Use Personalization – I have seen 27-30% CTR on campaigns that are personalized to each user, based on their browsing behavior. 3) Don’t Abuse – Having Push ID doesn’t mean you start doing 2-3 Push every day. You will have an insanely high Churn rate. 4) Tell people why they should optin – Give a clear value proposition of why they should optin. These are some of the basic ways to make the best out of your Push Strategy. CEO at Magebit. At Magebit we are providing services to clients all over the world — from the USA to Australia, China and back to Europe. Push notifications get more powerful every day. At Magebit, we have implemented push notifications for different websites all over the world as people start to understand that they work way better than emails.If you want to launch a flash sale campaign for a couple of hours, emails are not as good as push notifications. You can have the push notifications go to your customer’s phones or as a popup in their browser so they see your important message very fast. In most cases even faster than a text message. That leads to quick actions and you can take this as an advantage to get fast sales. To get the best results using push results you need to understand your audience and the expected behavior after seeing your push notification. If you are launching a flash sale or a campaign to get quick sales you need to push on words like FLASH, NOW, SALE, ONLY TODAY and similar. Also, don’t be boring – say it in a short and precise manner. These are the first things you need to understand to successfully use push notifications. From there you must monitor your customer’s behavior, run A/B tests and then adjust the future push notifications to reach your goals. Using push notifications is imperative to any marketing strategy. They can be used for various purposes, like re-engaging users, sending out reminders, displaying deals, etc. To optimize your push notifications to get the best results, segmenting your users and delivering personalized messaging to them will ensure the best results. You can measure success by seeing your click rate for each segment and also checking conversions. It’s important to optimize you push notifications to send them at appropriate times to not overwhelm users. Push notifications are very much a high-engagement touch point with consumers, so it’s important that they don’t come often enough to bother customers. When sending a push notification to different segments, always ensure your message is clear and concise. You can add urgency to your messaging by adding limited time as well. Tamas Torok is a self-taught online marketer working with startups and tech companies to build and improve their online marketing. He also wrote an actionable book on content marketing. Browser push notifications let visitors subscribe to your blog without typing any characters. It literally takes just two clicks to subscribe. Newsletters and push notifications both play different roles in the visitor’s journey with the same intention to keep readers coming back. I look at push notifications as additions to, rather than competition for email newsletters. Since it’s so easy to allow push notifications (just a few clicks) without providing any personal data or email address, I like to use them as a first step to keep those visitors coming back who aren’t ready to become leads (provide email address). But still, they will get notified about the new blog posts and have a chance to convert later. Sometimes using push notifications and newsletter opt-in forms (popups, sliders) at the same time could be really distracting for readers. I’m sure you have already visited a website where not long after arriving, a welcome mat was rolling down, then a push notification popped up and when you wanted actually reading that post a new pop-up appeared. This is a typical example when a website is trying too hard. Distracting. So the thing you should do is to synchronize your popups and push notifications to be less overwhelming for the readers, leaving enough time between them before they appear, letting visitors consuming your content without major distractions. I like to set push notifications to appear first after they spent some time on the page and when they intend to leave you can try to capture their email addresses with an exit intent popup. Co-founder of Ninja Outreach, an all-in-one Influencer prospecting, outreach, and CRM software for marketers. We get really high click through rates from our push notifications, so we use it to get more eyes to our blog posts every time we publish. We also use it to get a spike back to our older articles. To date, push notifications are among our top 4 mediums for getting traffic. Brandon Hopkins founded and manages a reputation management firm in 2007 that continues today. I have used push notifications off & on and found that in some industries where they are heavily used, readers become annoyed. I actually ran a test that tried to test sentiment towards a page with and without push notifications. I measured the total response rate (email signup or contact form submission) to see if we had more or fewer contacts and in a saturated industry (marketing/SEO) the responses were a few percentage points less than when we didn’t use push notifications. The testing methodology wasn’t perfect, but it did cause me to remove the push notification from that site! Lisa is a Social Media and Content Marketing Specialist. Lisa loves helping others to thrive online at Inspire to Thrive. I began to read more on this topic and started to subscribe to some of my favorite blogs this way. When I first started seeing them about a year ago I was leery. I didn’t think I’d like seeing the updates in my browser. Boy was I wrong! It’s a great way to see their latest updates. Quick and easy like I like it! I recently read that push notification are better than email because they are instant. If an email is opened and read it takes generally 6.5 hours before it is read. Generation y and x rarely use email, they believe it is passed today. I also did a poll on Twitter and noticed 13% of the people that took the poll did not know what they are. Imagine? So I believe it’s an untapped source. I started them today on Inspire to Thrive and I can’t wait to see how it goes with this new push notifications. Saad Asad is a content marketer and an SEO specialist at Single Grain. Push notifications have seen a rapid adoption in the past year but not everyone has been able to get the engagement from them they were expecting. I think the two key elements essential to make push notifications work are timing and relevance. It is important to collect data on your audience and see at what times they are engaging most with your content and then send out a notification to your 10x content in those hours. Use scarcity to increase your click through rate. No one would click on a notification to read an article that they simply do not feel the urgency for. If you make sure your notifications and timely and relevant the subscriptions from push notifications could increase email opt ins and other more demanding investments from your readers. Co-Founder and Managing Director of Louder. I’ve seen plenty of stats on how web push notifications have higher open and click-through rates than email, but I’ve also seen plenty of marketers experience disappointing results. Just because you have permission to message subscribers in real-time doesn’t mean you should.The best performing campaigns I’ve seen are ones that get two things right: timing/frequency and copy. Campaigns that have a scarcity element – eg, an e-commerce coupon code that expires in a few hours – do well, as long as the copy clearly conveys what subscribers have to do and why they should do it quickly. Social proof can be useful as well at motivating subscribers to take action or risk being left out. The timing aspect is tricky since every industry and audience has a different threshold for what’s too frequent. Since it’s so easy to opt out of push notifications, you can’t afford to frustrate subscribers too long. Watching the performance of every notification you send is critical – especially at the start. He spends time in developing and executing online marketing strategies for clients of GCT. I personally hate them because they are really annoying. But the fact is they really work well and we need to use these push notifications to inform and engage the customer base. To get the best results from web push notifications I normally use the followings tricks. Personalization: This is very important, when people receive individualized messages and product offerings from their favorite company, they feel that the message is specially created for them. It’s just a great approach to increase the reach and sale. Strong Creatives: Always add custom icons or large images with proper call to action terms to your push notifications. Always try different CTA copy (A/B test) to figure out the best copy. Timing: Timing is everything when using push notification. If you want more results with push notifications, you have to send them at optimal times. Avoid sending notification during sleeping times. Focus on Quality and Limit the Frequency: Send out Web push notifications only when you have an important message to convey. Avoid sending too many notifications, it may frustrate the users and they can ignore the message. To engage the audience to utilize the call-to-action (CTA) and always A/B test your CTA’s with proper creative and effective call to action phrases and run one at a time to find which works best for you. Your CTA must have a title, the content that encourages people to act, compelling offer, eye-catching design. Sharon Conwell is a project manager and a digital marketer at Big Assignments. To many online users, a push notification is nothing more than an annoying little box that pops up on the screen when they’re trying to read their article or watching a funny video. In many cases, it normally results in clicking the ‘No, Not for Me’ button and that’s the end of that. First things first, you need to understand the basic functionality of a push-notification. The first thing you’ll want to know is that these little boxes are only browser-dependent but can push through notifications onto your user’s desktop, no matter what windows are open. This is the perfect opportunity to engage in some creative marketing. Secondly, you’ll need to understand that push-notifications are also an extremely cost-effective form of marketing. In most cases, all you need to do is put a small line of code on your website, and you’re done, it’s that simple. So, the question remains of how to use these boxes effectively to draw users to your website while ensuring they stay subscribed to the notifications themselves. Well, the main consideration is saving your push notifications for your extra special content. You don’t want that little box pinging up all day but, you will want it for your feature headline articles that you don’t want your readers to miss. Secondly, it’s important that you also understand that there are no rules about marketing your other communication channels through these notifications, a commonly overlooked idea by many businesses. Who says you can’t post about your social media pages on these posts or the benefits of subscribing to your website’s mailing list? The possibilities are endless! Finally, get really creative with the text you put in your push notification. If you’re using any of the techniques above, try using something bold and daring like ‘HEY YOU! Check out this new blog post!’. That instantly grabs your user’s attentions and, unless they’re really busy, they’re going to want to see what’s going on. The best piece of advice I can give is to experiment with what works and what doesn’t. Stay consistent with your brand but really push the boundaries to find the most effective methods for you. I think the most critical factor of push notifications is the actual copy. Typical character limits for push notifications are 40-120 characters, which means the copywriting has to be very powerful in order to be effective in such a small package.It’s important to differentiate yourself from competitors through creating messages that persuade the web visitor to take action by providing them with a clear benefit and value. Try to identify what the visitor will be interested in and create the copy based on that insight. Web push notifications can be a powerful tool if used correctly, make sure your copy is on point and add value for your web visitors. Marketing manager from New York and a writer at the top writing services. If you are smart, then you are going to learn how to use web push notifications to get the best results with trial and error testing: trying something, checking the results, keeping what works and scrapping what doesn’t. You need to perpetually learn from your social media experiences in the same way you are supposed to perceptually learn from your push notification experiences. Creating social media posts and push notifications are less like a job and are more like a large unending research experiment that gradually generates better and better results over time. Here is a better explanation of the four keys to successful push notification planning. Where are your push notifications going to appear? Are they going to appear on somebody’s Mac while they nip off for a cup of coffee, or are they going to appear on somebody’s web browser on a tablet device? Is the notification going to be a welcome surprise or just more background noise? Try to think of your push notification as an unsolicited email, is it going to be a surprise and/or welcome? A person learning Japanese may be happy to see a message that gives away a Japanese word of the day, but a student may be displeased to see yet another message on some product sold online. How often do you send out your push notifications? Let your user choose. For example, if somebody is selling things on your website, they may wish to know right away if their item has sold, but if they are selling lots, then people may desire a single notification at the end of each day. The person learning Japanese from the previous example may be unimpressed if he or she receives a word of the day every six hours. If your notifications are not prompted by outside forces, such as notifications every time the USD – GBP rate changes, then you need to figure out the best and most optimal push message interval. Do people really want a push notification at 2 am in the morning? On the other hand, is that the time of day when you know your user will be up? Do you want push notification to appear as soon as your user wakes up? What time best suits your target audience? Do you really need to send push notifications for kid’s apps during school hours, because doesn’t that run the risk of the child getting in trouble at school and having his or her phone confiscated? You need to give all of these factors some thought. Silly mistakes such as sending out test messages are easy to avoid. Also, avoid pushing your agenda, as CNN found out to their cost. They spent so much time sending out horrible push notifications about President Trump that they actually created as many as 17 million President Trump fans. For example, one of CNN’s posts was that President Trump gets 2 scoops of ice cream while other members of the meeting only get one. People loved it because CNN’s demonizing of Trump actually made him seem more like a cheeky child than the monster they were trying to make him out to be. Does a policeman on duty really care that your office supplies company has just hired a new manager? Does a policeman on duty really care that your basketball team just hired a new manager? There are plenty of ways you may go wrong, but they all revolve around the four key elements presented in this article. Give each of the key elements some thought and make sure that your push notification planning is an ongoing and evolving process that is grounded in the scientific method. In general, we would send 2 different kinds of push notifications to our users: first are app updates, news and blog posts and second are updates or major changes on sites that our users are tracking. We use a different kind of strategies for each of those categories – with first, we will limit them to 1 or 2 notifications per 2 weeks, while on second we might push multiple notifications on a weekly basis. The segmentation is done based on the engagement indicators – mostly user’s login counts to our SaaS app. If a user has already subscribed to our paid plans, and if he logins to the application regularly, that means he’s interested in knowing updates and information our tool is providing for him more regularly. If he hasn’t engaged well enough, we will limit the notifications to the topics to his current engagement/funnel stage. We also use a special in-house script that would allow us to use user time zone and send notifications to them based on their timezone – this way we ensure the best response rates. We use short and engaging text, and sometimes we would also add emoticons to the notifications (when we want to make certain notifications stand out more). Full Stack SEO and SaaS Entrepreneur. I’ve been using web push notifications for a while now. I use it mainly as a complimentary thing to blogs I run, especially for niches that are harder to get subscribers for – like for my healthcare niche. For me, it’s harder to get opt-ins, rather it’s easier to optimize for broadcasts. It can get fun in niches like travel or bring sales if you have an e-commerce store. – Optimize the image to catch attention. – The text can include emojis. Make use of it with good enough copy. These 2 additions will bring in more customers than just normal default notifications because everybody’s doing it nowadays. Now go and try it. #Nurture: Always keep your customers engaged. Keep them updated about any new product / feature / article. You can create a series of Drip Push Notifications for your customers. This way you will never miss the opportunity to be in touch with your customers. Now next important thing to get higher success rate is – Cross Segment with Timing. Timing is one of the important factors to get higher CTR. This way you can send notifications to target segment at the right time to get high CTR. #Personalize: Personalized notifications makes your customer more connected. Personalization has gone beyond “Hi X”. You need to capture customer actions and behaviors and then create your notifications. For Eg: If you are a fitness site, then keep a track of customers purchase behavior. When they have bought 1 pack of supplements, you should track when it should be finished. And before it gets over you send personalized notifications. You can even plan for triggered notifications. One of the trigger notifications which is being widely used is the Abandoned Cart Notifications. You might have received mail from top e-commerce sites like Amazon, whenever you abandoned your cart. Now the same feature is available in Web Push Notifications. As per report, 75.6% of customers leave items in their cart in all the industries. Raconteur, Digital Marketer, Growth Hacker, Proletarian. Push notifications are a powerful marketing and customer engagement tool but is also a highly misunderstood one. The key to successful push notifications is relevancy. Many companies integrate push notifications into their marketing strategy based simply on the premise that some others have seen real and positive results by using them. However, what the former fail to realize is the fact that the latter are doing it right, they are personalizing the notifications intelligently. Without personalization, these notifications are nothing but random messages of little or no interest to their recipients. Behavioral Notifications: Notifications should show highly personalized messages via banners when users are browsing your website. Triggered Notifications: Banners should be triggered based on pre-defined business rules. Define triggers based on the user’s behavioral attributes on the site such as time spent on the site, scroll depth, exit intent, and other events. Dynamic Personalization: Personalize the content in the banner based on user attributes, event attributes etc. Greet users with content that interests them based on demonstrated and predicted category affinities. Banner Styles: design beautiful, customizable banners that blend well with your website. Show the Right Content to the Right User: Deliver personalized product recommendations using your own online real estate. These banners blend perfectly with your site, unlike overlay pop-ups. These are typically used to serve multiple recommendations to the users based on what they are looking at on the site. Recommendations should be triggered based on the segment the user belongs to or on his previous browsing history or on his predicted category affinities. Dynamic recommendations are conducive to improving the revenue and lifetime value of the customer. In-page Banners: Act on the user’s behavioral trends and personalize your site’s homepage, landing page, product page and others. Encourage them to make their first purchase with highly customized and targeted messaging based on their lifecycle stage and category affinity. So the bottom line is that if all available features are used in synchronization and with a proper understanding. Helvis Smoteks is an SEO-mastering, content-smithing marketer who owns inbound marketing agency Market Me Good. There is no other application in marketing that’s alike. You are WRONG or miss-using web push notifications – if you think they are useless. Only text message blasts or ads in Messenger can reach similar effect to the one of web-push. And we all know how costly and hard to set-up are the ones above. Web push notifications serve a crucial part in business’s marketing funnel – they attract immediate attention. So, where in your marketing funnel the person’s attention is significant? Flash sale, webinar launch, start of an event, last minute deals, bits & chunks of Epic Post information, daily hacks, tip of the day, lunch deal info, morning coffee prices, traffic hour tips, expiration info, etc. – this kind of info CANNOT be distributed effectively in any other way. Period. Do you get it now? – Web Push notifications offers a wide variety of opportunities. There are 3 “ingredients” in these notifications that must be TESTED to get them right – Time, Copy (emojis, text, and CTA) and Customer’s funnel journey (aka segmentation). Time – You must find the right time your users want web-push notifications. People drink coffee twice a day – thus know your customer’s habits. Copy – There are 3 essentials in creating great text – emotional touch (emojis), make sure to add a clear CTA and keep it short (max 120 characters – depends on browser). Segmentation – This is the MOST important part because there are very few push providers that give this option. Show info based on the browser’s activity / history. Do people care about your flash sale on lipsticks if they wanted to buy shoes? I hope the insights from the best in the field will help you to hit the floor running. 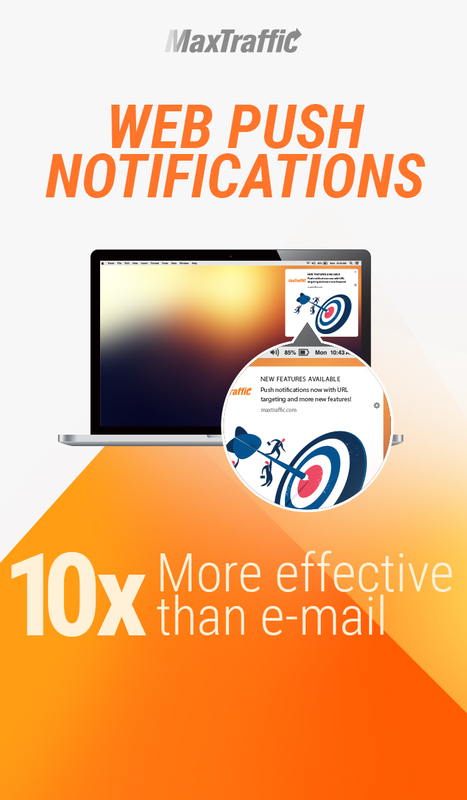 If you haven’t tried web push notifications – now you don’t have any excuses. Signup here and first 1000 subscribers will be FREE of charge. Thanks so much for including my roundup in your post- you have put together interesting post. Super advice Helvis. I love PUSH notifications. Quick, easy and a different animal from newsletters which are a bit more heavy in my viewpoint. Thanks for sharing this pro of pro advice. Great article with a brief explanation about to improve the performance of web push notifications. i follow one strategy but from now on-words follow these ways to improve performance of web push notifications for my website. One of the best things about a money management calendar is that you can start at any time of the year! Not sure how to get started? Skycap Loans suggests some ways to get started.